CIOs might be getting sick of the word “disruption,” but Ian Cox has decided to co-opt it instead. 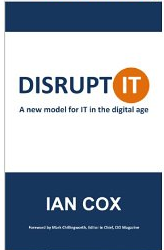 Cox is the author of Disrupt IT – a radical transformation of IT, which draws upon his own experience as a chief information officer and a consultant in the U.K. CanadianCIO recently discussed the book’s themes with Cox to understand why, once again, IT leadership roles may need to undergo a transformation. This is the first of a three-part interview, which has been edited and condensed. CanadianCIO: CIOs are constantly being questioned about their relevance and the future of their role in a way that doesn’t seem common among other functions — the CFO, for example, or the COO. Why is this and do foresee any chance that CIOs may ever have more stability and trust within their organizations? Ian Cox: The current model, ways of working, structures, etc, of the IT department are out-of-date, remnants of the mainframe, PC and client-server ages. Technology has changed massively since those days; its role and use within the organization has changed, knowledge and awareness of non-IT staff is so much better and the offerings of vendors far more mature and comprehensive. The digital business needs a different type of CIO and a different type of IT department that can play the role of a consultative and collaborative technology partner/broker. Many CIOs and IT departments are just not equipped to play this role; they do not have the skills, time or, in some cases, desire to work in this way. So we have a gap between what the CIO and the IT function does and what the organisation needs, and this gap is now being filled by the shadow IT functions and other C-level roles such as the CDO, which not surprisingly has led to questions about the future of the CIO role. Technology and the role it plays in business has changed significantly over the last 5-10 years. The role of the organization’s technology leader has to change to keep in line with this shift. Organisations need a different type of CIO, one that can play a leading role in the digital age. And that needs different skills, experience and qualities to those CIOs needed in the past. CIOs that can develop these skills and make the transition from technology and service provider to technology and service broker will not just have a more stable future, they are likely to become a key figure in the digital transformation of their organizations. CanadianCIO: Your book focuses a lot on how disruptive trends in IT will have an impact on CIOs, but what do you think will happen to the kinds of professionals who report into them? How should CIOs start to rethink the skill sets they’re hiring for, and how they develop staff? IC: My book also identifies the core competencies that the IT function needs to enable it to meet the needs of the digital business. This places the emphasis on disciplines such as architecture, project delivery, data management and vendor management. 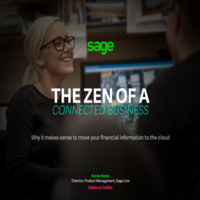 In addition, the modern IT function needs to be a more business-focused, outward looking department with high levels of engagement with the rest of the business. So all IT staff will need business and commercial knowledge as well as the ability to develop and maintain relationships with their peers in the rest of the organisation. So CIOs will also need to ensure IT staff have the business and people-related skills as well as the right technical knowledge for their roles. The focus on a new set of core competencies means that many of the more technical roles that the IT function has acquired over the last 20-30 years in areas such as building, maintaining, and supporting infrastructure and applications are no longer core activities and should therefore be outsourced to partners unless they are a source of competitive advantage or differentiation. CanadianCIO: How do you see the metrics for evaluating CIO performance evolving, compared to what you were evaluated on when you were a CIO? IC: Historically CIOs have tended to be evaluated on operational metrics such as service levels and availability, and financial measures focused on cost control. Whilst these are still important metrics, the digital business needs its CIO to focus on using technology to generate value, creating new revenue streams and driving growth. Their performance should therefore be measured in terms of the value they create and their contribution to revenue and other business metrics in addition to the cost and performance of the technology and services they are managing on behalf of the business. The full interview with Ian Cox is available in the April edition of CanadianCIO.